This specially formulated viscid aerosol deodorant may be used to counteract problem odors wherever they may occur. The adhesive properties of this spray allow the product to be applied to either vertical, horizontal or irregular hard, nonporous surfaces. The slow releasing formula will provide continuous deodorization, eventually evaporating, leaving no noticeable residue. 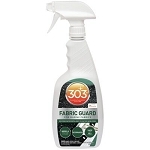 Use as often as necessary for long-lasting odor neutralization. Possible applications include trash containers, under tables or desks, behind toilets or around urinals, portable toilets, lockers, closets and kennels. Counteracts odors caused by tobacco, garbage, animals, and cooking as well as odors found in bathrooms, locker rooms, kitchens, drains, trash cans, dumpsters, and port-a-toilets.